James Seward is one of today's most sought-after Christian artists. 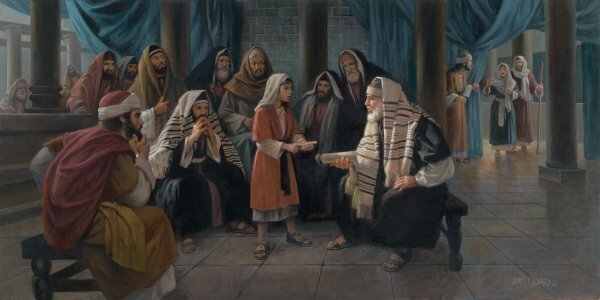 His newest release depicts Jesus at twelve years old in the temple where He, Mary, and Joseph went every year to celebrate Passover. On their way home, Mary and Joseph discovered Jesus was missing and returned to find Him. Jesus was in the temple talking with the doctors of law, who were astonished at His understanding and knowledge. Of course, these scholarly men were unaware of who Jesus was. When Mary and Joseph chided Jesus for lingering, he asked, "Don't you realize I must be about my Father's business?" (referring to God, His Father).